For this edition of the Top 5 Movie Guide, we take a look at some of our favorite films featuring Susan Sarandon, one of the stars of this weekend's "Snitch". 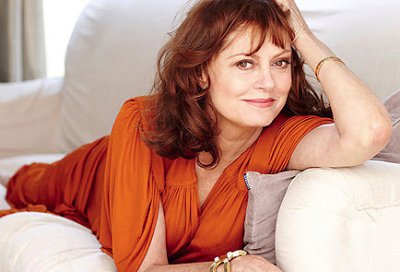 While Sarandon did attend Catholic University in Washington D.C. for Drama, she was not always set on an acting career. It was only by chance that she landed her first film role. 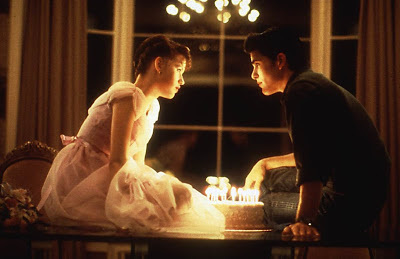 In college she married her former husband, Chris Sarandon, who was trying to be an actor. He took her with for an audition he had, and while he did not get the role, the director noticed her and gave her a small part. It wasn't anything extravagant, but it did get her onto the scene. After a few television and bit movie roles, in 1975 she landed the role of Janet in "The Rocky Horror Picture Show"; a film that has remained a cult sensation now nearly 40 years later. The film had a minuscule budget, and was initially met with disinterest from both critics and audiences alike, but eventually developed a strong cult following that made Sarandon a popular name. The film allowed her to focus on stronger film roles, most in the starring variety. In 1980 she was nominated for her first Academy Award ("Atlantic City"), but outside of 1988's "Bull Durham" (a film in which she met her partner of the next 20 years, Tim Robbins), she had little other success. The next decade was a different story though, where between 1991 and 1995 she was nominated for four Academy Awards - all for Lead Actress. She won in 1995, the last nomination she's received, for "Dead Man Walking". Her career has not since matched the dominance it saw in the 1990's, but she's remained a household name in the decades since. While her roles are more in the supporting variety these days, she still acts in many films (she's appeared in more than 85 films to date), most of which are well received. Hit the jump for some our favorites from her illustrious filmography! While Susan Sarandon is someone that I always hoped would take more roles that I cared about, she's still been one of my favorite actresses for a long time. And it's nice to see she's had a minor resurgence recently in supporting roles. My top two picks are so closely ranked; I experienced great agony trying to decide which film should take the top spot. Ultimately, I went with the film that first made me fall in love with Susan Sarandon. This is an entertaining musical, with really fun songs and great style. I watch this movie at least once a year - usually right around Halloween time - and will probably continue to do so throughout most of my life. It's not necessarily one of my favorite movies ever, but it's one of only a handful that I still get urges to re-watch with regularity. This is basically like 1A. It makes me almost angry that I'm not allowing myself to put this at #1. It's one of the best baseball movies out there, and Sarandon is in top form. The relationships between Sarandon, Kevin Costner, and Tim Robbins all work so perfectly, and play into some really great baseball tropes. This is probably the most accurate behind-the-scenes type baseball movie I've ever seen, doing a great job of showcasing the mindset of different generations of ballplayers. This is a solid thriller, but after those first two films there's a major drop-off for me, and I could have put any number of films in this spot. Ultimately, it was Sarandon's role that helped push this one over the top. In leading variety, she's the best part about this film. As an entire film, it's a pretty glossy version of a courtroom drama, and doesn't really tackle any new territory, but it's still an enjoyable thriller. There are better versions of this same general story, but there are also much worse. I put this film on this list simply for the eclectic collection of odd and eccentric characters presented. Each of them has so many flaws, and there's really nothing in this film I'm able to relate to, but it's almost like a train wreck - you don't really want to watch, but you can't help but do so. It's still a fascinating character study that works differently than most films I've seen in the past. Sarandon was in a variety of quality films this past year, and in one way or another, I found them all to be enjoyable. This one stands out to me the most, as an independent sci-fi flick, more about characters and relationships than anything. I really enjoyed the concept and messages this movie had to offer, and the style and cinematography was very clean. This is probably the smallest profile film she was in (and unfortunately her role is minor as well), but if you didn't see it, I highly recommend checking it out. Real quick side note: I just noticed that I have a film on this list from every decade she's acted in. And I swear I didn't plan or realize any of this until I was done with my list, but interestingly, the decades are in chronological order, with my likings getting less as we work towards this current decade. Looking back I'm actually very surprised that it worked out that way; off the top of my head I would not have guessed that would have been the case. I'm not completely in love with her filmography as a whole, but have always been a fan. It's probably not the best idea to throw a new film on top of the list, especially since it doesn't represent her best performance, but this movie has everything. If you're looking for comedy, romance, drama, suspense, or action - "Cloud Atlas" has you covered. Plus, it's always nice to see a big budget, star-studded film tackle such thought-provoking material. I remember watching this as a youngster and being impressed with the quality of acting in the film. I haven't seen it in years, but would imagine a revisit would be just as engrossing as previous viewings. If my memory serves correct, she won an Oscar for Best Actress. This is an underrated vampire flick, but at the same time, it's easy to see why it doesn't connect with most audiences. However, for me, it has a feverish/almost dreamlike flow that when combined with the score is beautifully hypnotic. I'm not really a sports fan, but for some reason baseball flicks are always intriguing. To top it off, the cast is just perfect, and the chemistry among them lends to some great comedy. This is one of those guilty pleasure, easy-to-digest Hollywood type films. It's an effective thriller no doubt, but definitely benefits from Sarandon and some of the other cast. This is a nostalgia pick, as it came out during a memorable point in my life. I watched it multiple times that summer. This was always playing on some movie channel while I was growing up, in turn making it my favorite and most-watched Susan Sarandon movie. While not the star of the movie, I love "Enchanted" so much that it must take a top spot on my list, even with the minimal amount of Sarandon on screen. It's like watching two brats live with each other. You expect that kind of behavior from the daughter, but from the mother? Some beautiful stop motion here and a wonderfully voiced spider. I actually watched this in the theater with my Step Mom. Pretty cool, huh? I've always enjoyed Sarandon in everything I've seen her in. I really need to check out some of her earlier work. I'll be perfectly honest, I don't even remember her part in this movie but this is such an important movie that I think everyone should see. I think it's one of the greatest low-watchability films I've ever seen. Although, it will be a shame for anyone who watches this now and didn't get to experience it in a theaters; that was definitely the optimal viewing environment. I could have found a live-action performance to put in here (and normally would), but this is one of my all-time favorite animated films, and the only stop-motion animated film I enjoy. This film has great performances from everyone involved. For Sarandon's character specifically, how does one get the distinction her character gets in this film? Is there an application for that job? My mom and sisters were playing this movie constantly when it first came out on VHS back in the day, so I in turn developed a fondness for the film. Not only is this the first film I saw Susan Sarandon in, it's the first film I remember seeing Julia Roberts in not realizing for the longest time that she was Tink in "Hook". This movie has its faults, but there was plenty I enjoyed about it as well. Stanley Tucci definitely has the best role in the film, but I thought Sarandon did a fantastic job as well. This, to me, is the iconic Susan Sarandon picture. I remember watching this as a child and it was way over my head, especially the wild and dramatic ending. This movie is about friendship, but also as an adult, I understood that it’s about women who have let men control them for whatever reason. This movie is about their freeing realization that it doesn't have to be that way and no one else can control or predict their actions. The evolution of Sarandon’s character from uptight waitress with a secret past into a woman willing to do anything to protect herself and her partner in crime is what makes this a truly great role. This movie seems to be a pretty accurate representation of minor league baseball and Susan Sarandon could have easily been portrayed as a tart. However, she is just as important as the baseball players in this film. I can’t really see anyone else in this role. Her character exudes confidence and she loves her baseball team and its players. Although unrealistic, this competitive love triangle is the perfect parallel plot to the baseball one and I found myself wishing that Sarandon would give up her ultimately unsatisfying lifestyle and finally let Kevin Costner in so they could both be happy. I liked this film more than I thought I would. It never got too dark and it never got too unrealistically "shiny". I really identified with the sort of young, wayward adult theme. Although this movie is more about Susan Sarandon’s on-screen children than about her, the movie was about intertwining lives and the effect they all can have on each other. Her age and exasperation with her sons is the perfect platform for her character’s difficulties. Most can identify with her idealistic life goals when she was young, and reconciling with the truth later on. I found the film’s climax to be surprisingly emotional and unexpected. Susan Sarandon is often relegated to the Mom role, but she’s pretty good about not choosing anything boring. This movie is no exception. She’s the matriarch of an old money New York family. She’s at constant odds with how dysfunctional her family is and how she wants them to appear in their high class society. The only time her character is really even tolerable is when she’s on her deathbed. Her death is one of the only times that the title character shows real emotion as opposed to being his standard apathetic misanthrope. This movie has a huge ensemble cast and surprised me in a lot of ways. One of those surprises was the fact that Susan Sarandon was in it. She definitely can be typecast in Hollywood as a seductive older woman type and it was refreshing to see her in a film unlike so many others. Another great week featuring a variety of great titles! Overall, 15 different films made the cut, six with multiple selections. And while no film appeared on all five lists this week, one did hit on four: "Bull Durham". The film featured a fantastic performance from Susan Sarandon, and is still considered today as one of the best baseball movies ever made. Fun Fact: After reading the script, Sarandon knew just how powerful the writing was, and spent her own money to fly out for an unscheduled audition and lobby for the role. She got it, and it became something of a cornerstone of her career. "The Client" and "Cloud Atlas" were the only films that appears on three lists this week, and also accounted for three of the five #1 picks. "The Client" is a powerful courtroom drama that earned Sarandon one of her five Academy Award nominations, and "Cloud Altas", released just last year, may be the most grandiose film Sarandon has ever appeared in. While her role is minor, the overall themes of the film warranted inclusion from multiple writers this week. "Igby Goes Down", "Stepmom", and "James and the Giant Peach" rounded out the titles with multiple selections this week, each appearing on two lists apiece. All three of these have something very different to offer, but the fun fact here: this is our second actor list in a row that's featured a repeat animated film selection (Jeremy Irons - "The Lion King"). As always, we hope that each of these selections helps you to expand your knowledge and appreciation of some of the best films that Susan Sarandon has provided over the years, and guides you to better and more enjoyable all-around viewing experiences. 1) I can't believe I am the only one in the group that enjoys "The Rocky Horror Picture Show". I'm not saying I expect everyone to love it, but the fact that it didn't appear on any other lists blows my mind. Yeah, I knew someone was gonna make that joke, and I tried to think how I could reword that but I just went with it. Your welcome for opening that door though. I'm ashamed to say I've never seen all of Rocky Horror. Bits and clips but never the full movie. I need to get on that cult classic asap. I enjoy RHPS, it just didn't make the cut. I, too, am ashamed to say that I've never ever seen "The Rocky Horror Picture Show". Maybe this Halloween, Alex? Add it to the ole list.